Note: I wrote this blog post ten months ago, before our sweet gymnast fell off her bike and broke her collar bone. Her training was derailed temporarily but her spirit is still as strong as ever! As she heads into a meet today I decided to go ahead and post this long-overdue account of her State Champoinship success. Hopefully there will be plenty more gymnastics stories to share now that she's all healed and working hard on her comeback. Regardless of how she does today I am happy to report that she is still having fun, so it's all good. I still can't believe that our baby girl is a silver medal-winning, competitive gymnast; 2nd best in the whole state for her age group, as a matter of fact. Ahava came in 2nd place in State! 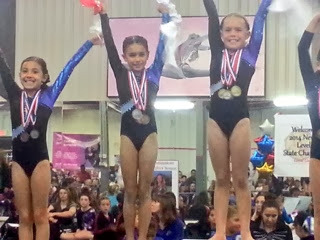 In March her gym hosted the New Mexico State Gymnastics Championship and in her very first year of competition our 9 year old daughter, Ahava, totally rocked it! In all, she has been doing gymnastics for about two years now. She and her sister, Ziva, started together at a little dance studio which also does gymnastics here in the mountains near our home. After about four months, and one very cute public recital, they both moved to a gymnastics-only gym in Albuquerque. The downside to making that move was that the gym is about a half hour from our house, but it really gave the girls a chance to see if this is a sport they wanted to make a long-term commitment to. Both girls were in the non-competitive gymnastics classes for about a year and were both asked to move up to the pre-team level. That's when Ziva decided to move on to other sports (tennis for starters), leaving gymnastics as "Ahava's sport." 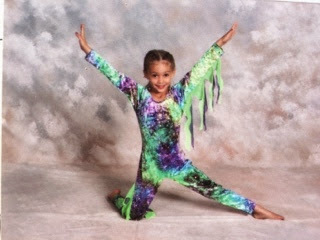 Once Ahava moved to the pre-team she really made a big shift in how she approached this whole gymnastics thing. Gone was the cute, bouncy, chatty, unfocused little social butterfly, replaced by a more focused and determined gymnast instead. 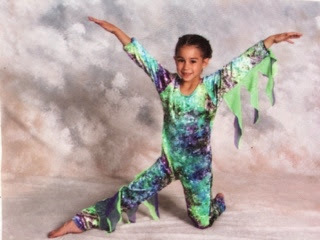 That determination was certainly the reason she began mastering the skills she needed to then move up to the level III competitive team last May. Moving to the team was so exciting, but to be honest, I had no idea what that meant until she actually competed in a meet in November 2013. Perhaps if I had been clearer about what an incredible family commitment it would be to have a competitive gymnast I might not have been so eager to see her moving on up. We went from driving into town 2 days a week for an hour lesson to 4 times a week for 2 or more hours. Not to mention it became much more expensive. Who knew a tiny little piece of sparkly cloth (i.e. the team leotard) could cost more than a hundred dollars?!? But, despite my grumbling, I am glad now that I didn't know better then. If I had discouraged Ahava from moving up to the team because of the extra time and money that required she would not have had the chance to push her own limits the way she did. Without being on the team where the coaches work with the girls every day on building the fundamentals of the sport, she certainly wouldn't have nailed her round-off back handspring or stuck her dismount from the beam. She wouldn't have been tested so much so quickly. And she wouldn't have had the chance to shine under pressure. Pressure that was pretty insane for the State Meet. Not just because it was her biggest challenge to date, but because I had one of my biggest "Mommy-fail" moments that day; I accidentally sent my car keys to the meet with her uncle so I had no way to drive her to the gym on time. She made it just after the opening ceremony and was able to compete, but that added a heaping pile of additional pressure onto her plate unexpectedly. Despite that incredible pressure, Ahava pushed through in a way I didn't know she could. I'm not sure she even thought she could. But, in the end, she earned that 2nd place spot on the podium. As her mom, seeing her shine like that is nothing shy of golden. But, more importantly, she is having so much fun! As long as she continues to love it I will do my best to keep my grumbling about inconveniences and costs to a minimum! Way to go baby girl! We love you!